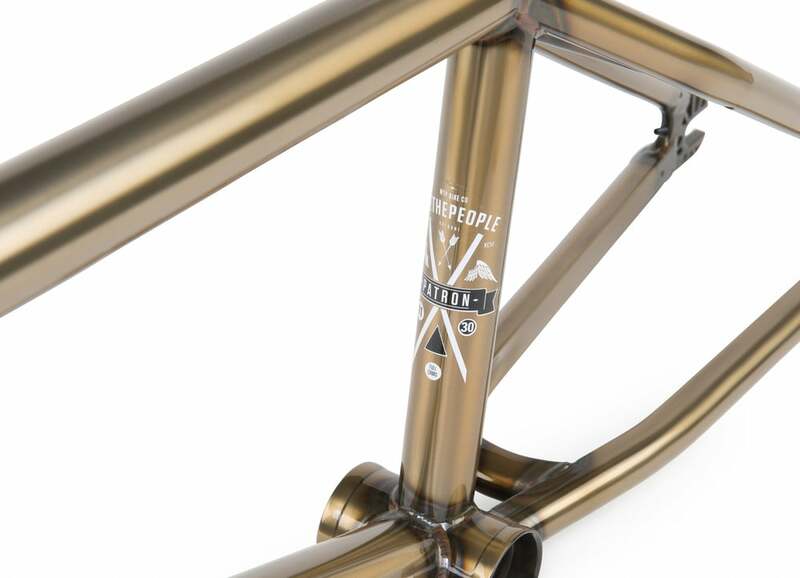 Inventory: The Patron Frame — WETHEPEOPLE BIKE CO. The Patron frame has been a big player of our frame offering, and the frame of choice for many of the team for a good few years now. 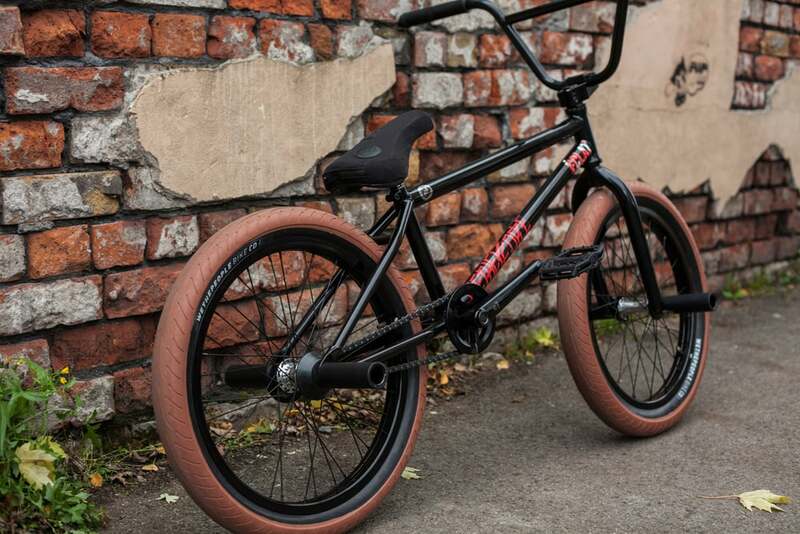 Originally built to cater the needs of the real street dogs on the team and the growing need (at the time) for a short, technical frame that most importantly could handle just about everything you could put it through, this thing has matured like a fine wine and has only gotten better with age. 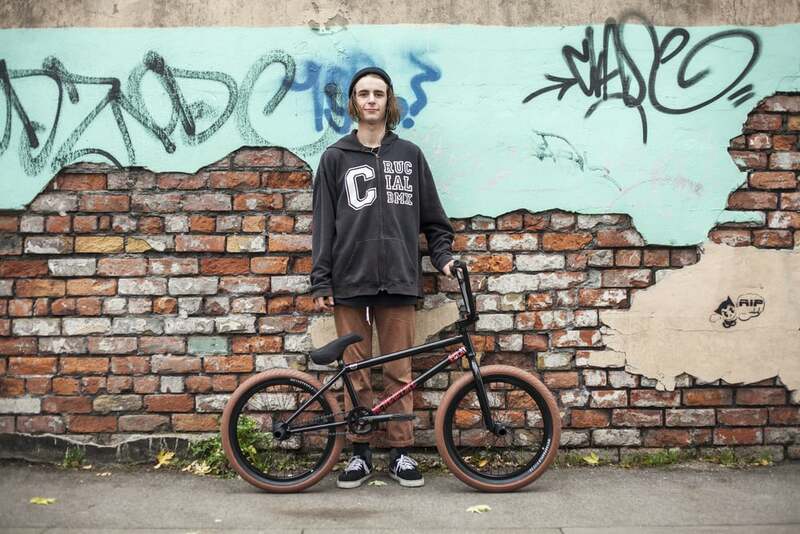 After a few subtle tweaks and changes, the 2016 Patron frame is here and it's never been better. After input from the team we decided to shorten the rear end up a bit and it now sits at 13.1" when slammed, and at 13.25" when run with 25-9 gearing which makes it perfect for the tech heads on the squad like Jordan Godwin and Dan Kruk who cant get enough of a short responsive frame. 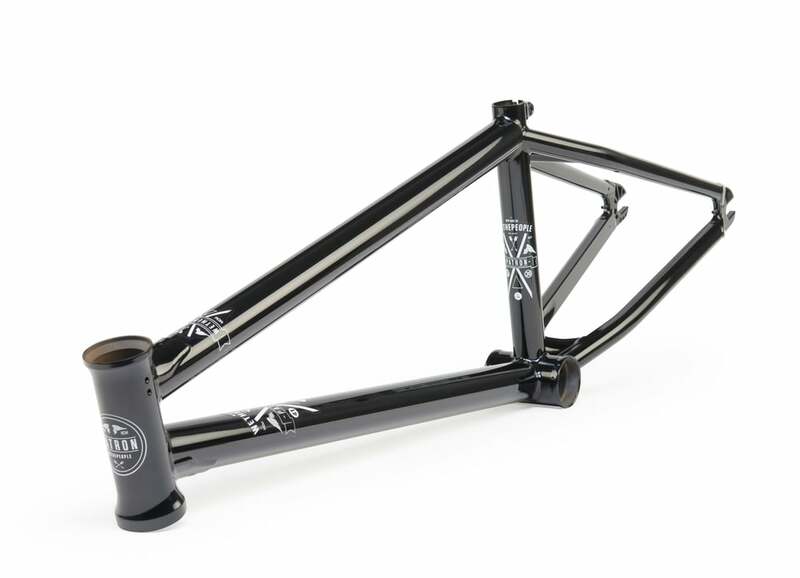 Type: mid-bb, Width: 74mm, Height: 11.75"
The new Patron features a taller standover based on the toptube length. We figured a shorter frame didn't need the same standover height as a longer frame, so the 20.75" gets an 8.75" standover, and the 21.15" gets a proportionately taller 9" of height. The crown jewels of the Patron have always been the D-shape chainstays. The specially shaped D-Shape chain stays make the frame incredibly stiff and much harder to dent compared to a regular shaped tube, making this frame perfect for riders who put their frame through a lot of abuse. 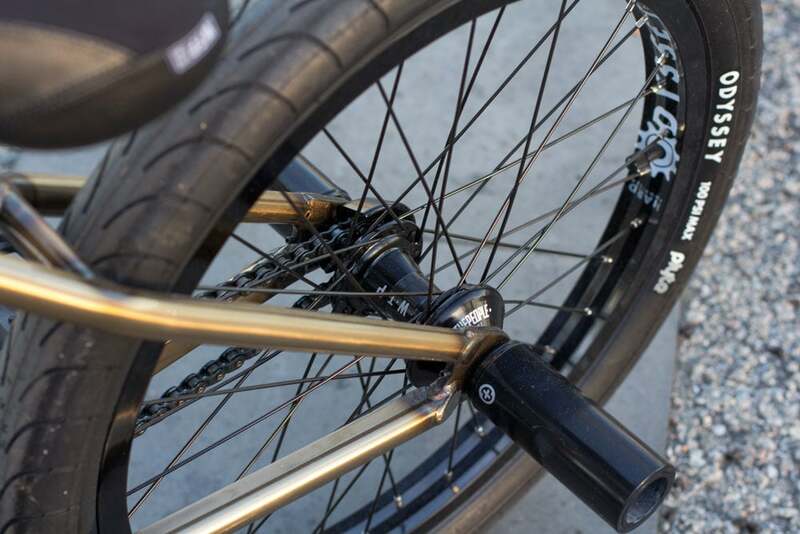 The D-shape stays also allow more space for larger tires, so a 2.40" tire will fit in the back end with plenty of clearance on each side, even with the rear wheel slammed all the way back in the dropouts. Another small change for this year is the addition of a toptube gusset. With the Patron being our street-steed, and street riding progressing at such a fast rate, we wanted to ensure that the Patron would have the strongest possible front end junction. The Patron's secret weapon is it's dropouts; Instead of a regular CNC cut dropout, we used invest casting to create a super strong, peg friendly 7mm thick dropout which had enough material for us to use an integrated chain tensioner in the centre of the dropout. These tensioners use a very small 1.5mm allen key in the end to push a threaded pin into the back of the dropout and keep your axle in the perfect tensioned spot. We've been using these tensioners on a lot of our frames for a few years now and the team love them. 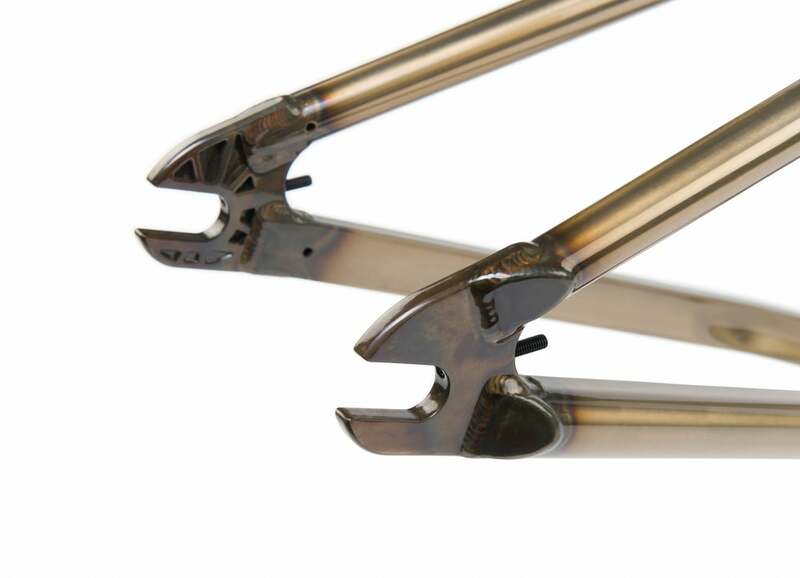 Like ALL of our aftermarket frames, the Patron frame is covered by our famous LIFETIME GUARANTEE. 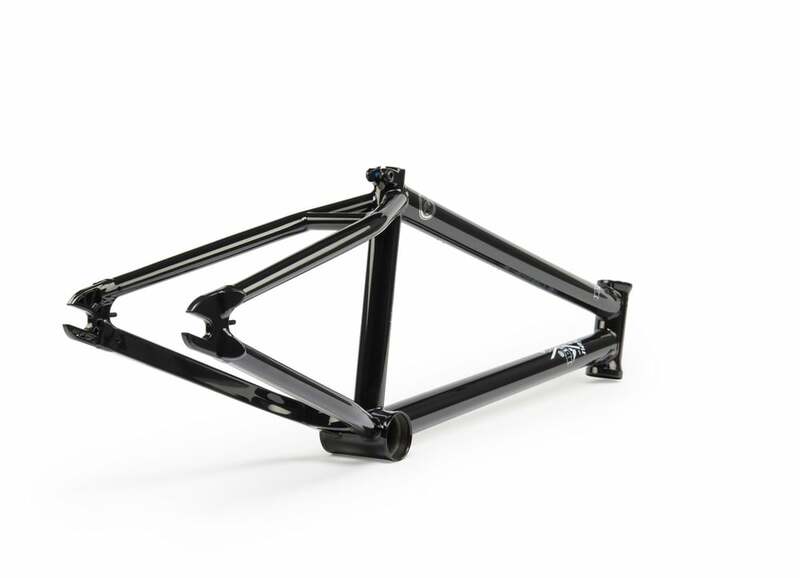 We have so much faith in the strength and quality of our frames, that we are willing to replace any frame which breaks due to a manufacturing defect under normal riding conditions. Head HERE to read up more.